HANNIBAL, Mo. — Sometimes practice can be overrated. On Thursday, because of weather issues, the Danville Dans didn’t get its normal time of batting practice before its Prospect League contest against the Hannibal Hoots at Clemens Field in Hannibal, Mo. No problem, the Dans responded with season-bests in runs (12) and hits (18) as they snapped the Hoots 10-game winning streak with a 12-5 triumph. “I guess these guys like the idea of show-and-go,’’ Danville manager Eric Coleman said. “We’ll take it. Six different players had multiple hits for Danville (17-15) and catcher Eric Bigani had a season-best four RBIs, including two on a two-out double in the third inning. Another player that stepped up for the Dans on Thursday night was first baseman Damian Pierce, who went 3-for-5 at the plate with two runs scored and two RBIs. Pierce hit his third home run of the summer. Zach Huffins also had three hits in the victory for Danville, while Kobe Kato, Cade Evans and Trevor Mindor each finished with two hits. Every batter in the lineup for the Dans had at least one hit, and every batter either scored a run or drove home a run. Starter Carter Holt only lasted 4.1 innings because of the pitch count rules. Nicola Mislinski came on to throw 3.2 innings of relief to pick up the victory. 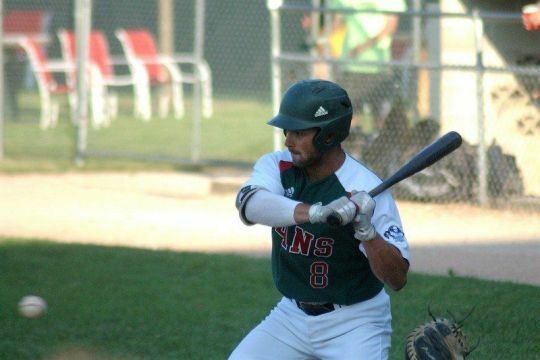 Hannibal designated hitter Dylan Dodd went 3-for-3 for the Hoots with a home run in the contest. At the end of the night, it didn’t matter what was on the scoreboard or what was in the official box score — the only thing that Danville manager Eric Coleman knew for sure was that his Danville Dans had snapped a five-game losing streak. 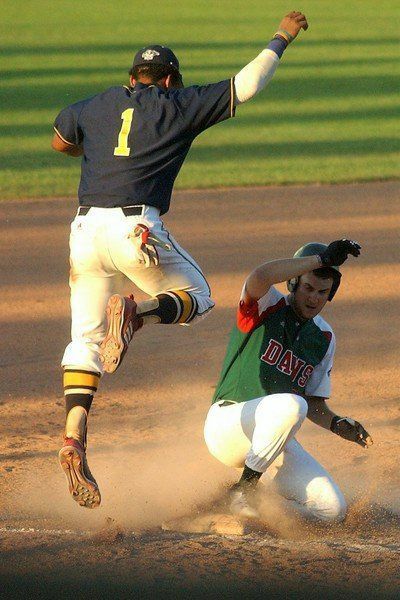 In an unprecedented move in baseball history, Prospect League Commissioner Dennis Bastien ruled, via phone, that two runs should be removed from the score of the Danville Dans. So while 2,783 fans at Danville Stadium saw six Danville Dans runners cross home plate, the final score on the brand-new scoreboard read Danville 4, Lafayette 1. But, then upon further review, both the Prospect League Web site http://www.prospectleague.com and the official statistical site http://www.pointstreak.com had the final score as Danville 6, Lafayette 1. On a day when fireworks typically fill the sky to celebrate our country’s birth, Wednesday’s game between the Aviators and the Dans took a strange turn in the bottom of the first. Danville’s Zack Huffins led off the inning with a triple to center and Kobe Kato reached first when he was hit by a pitch from Lafayette starter Joe Graziano. That brought Christian Pena, one of the newest members of the Danville Dans, to the plate. After Kato stole second, Pena delivered a two-run single to left, giving Danville an early 2-0 lead. But, it proved to be the beginning of a lengthy discussion about Pena’s eligibility. Lafayette manager Will Arnold officially protested the contest. Instead, Danville took Pena out of the game and replaced him with Colin Gordon. With the bases loaded and two outs, Gordon had advanced to third, Danville’s Slate Fuller delivered a two-out, two-run single, giving the Dans a 4-0 lead in the first inning. During the third inning, right after Lafayette had scored to make it 4-1, Bastien informs Danville Dans general partner Jeanie Cooke that two runs were to be removed from the score of the Dans. No one at the park associated with baseball can ever remember a situation where a team’s score was changed during the course of the game. “I feel bad for the kid,’’ Danville manager Eric Coleman said. “I can’t control it. I have no record of it. Fortunately, we scored enough runs to get the win. This year, Prospect League rule indicate that no player may sign with more than one team. “His situation happened before the season started,’’ Coleman said. “How are we supposed to know that he signed with another team. According to both the Prospect League Web site and the Pointstreak Web site, there is no official listing the league transactions that Christian Pena had signed or had his contract voided by Lafayette. 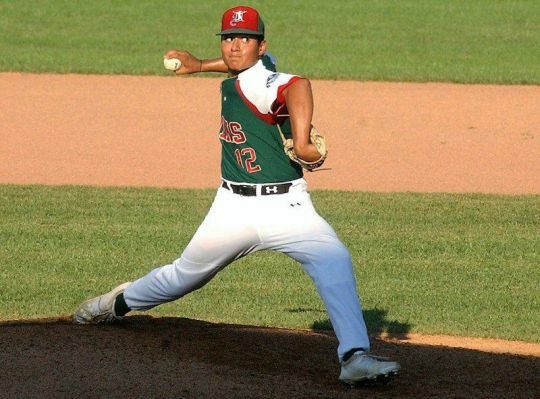 According to Pena, he even stated on his contract with Danville that was filed with the Prospect League that he had previously signed with Lafayette. Coleman pointed out that Pena had been playing in another league in Iowa when he was searching for replacement players. Eastern Illinois University, where Pena is committed to playing next year, and head coach Jason Anderson, a former Danville Dan, created the connection. “I don’t even know if Eastern knows about this rule or this situation,’’ Coleman said. “Christian just wants to be here and wants to try to get better to give him a better chance to play next year at Eastern. And it came at the worst time for Pena. After starting 0-for-6 with the Dans, the infielder from Davenport, Iowa, had a home run on Tuesday and was 1-for-1 with two RBIs in Wednesday’s contest. “I was really seeing the ball better the last two nights,’’ Pena said. “I was kind of upset that they took me out of the game. Danville added two more insurance runs in the seventh as Cade Evans, who went 2-for-4, drove home a run with a fielder’s choice and then Fuller got his third RBI with a bases-loaded walk. The dramatics of Wednesday night overshadowed a nice pitching performance by Danville starter Noah Beason and reliever Matt Gammon. Beason struck out eight in four innings, allowing just one run on two hits. Gammon, who was credited with the victory, threw five innings of shutout baseball in relief of Beason. Steven Washilewski and Will Klein combined to throw a no-hitter in Hannibal this evening as the Dans defeated the Hoots 8-0. This is the fifth no-hitter in Dans history, and the first since CJ Burdick tossed one on June 4, 2014. Washilewski, a left-handed throwing sophomore-to-be at Kansas, was making his fourth start of the summer. In the game, he only allowed one runner to reach (on a walk in the second) while striking out 11. For the season, he’s 4-0 with a 1.82 ERA. He’s struck out 33 – second most in the Prospect League – and while walking just three in 24.2 innings pitched. Prospect League pitching limit rules prevented Washilewski from finishing the game. Entering the game in the 7th inning was right-hander Will Klein, sophomore-to-be at Eastern Illinois University. Tonight he struck out five and walked just one in his three innings of no-hit baseball. In five appearances this season, Klein has struck out 15 while walking 12 in 12.2 innings. Other no-hitters for Danville Dans history include Brian Wiese throwing a 9-inning no-no against the Springfield Rifles on July 27, 1996. Kurt Ainsworth tossed a 7-inning no-hitter against the Quincy Gems on June 18, 1997. A Dans 6-inning combined no-hitter was tossed on the road by Nick DeCampli and Ty Davis in a 2-1 loss to the Rifles. 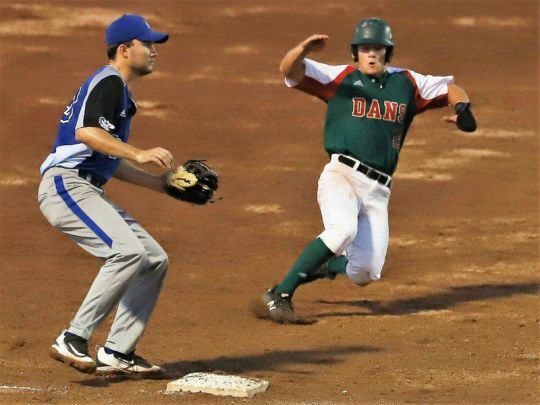 Danville Dans are in their 31st season and are a founding member of the Prospect League, one of the premier college summer leagues in the nation. Baseball players from California, Florida, Louisiana and all across the Midwest are in Danville to improve their fielding skills and batting with wood bats. Most people can look at a box score, and even without the final outcome, can typically tell you which team was victorious. But a quick glance at Monday’s contest between the Lafayette Aviators and the Danville Dans might have been a challenge. Danville walked 14 batters and committed five errors, but it was the Dans earning a 10-6 victory over the Aviators before 326 humans and 10 dogs on Bark in the Park Night at a very steamy Danville Stadium. “I guess I’m living right or I must have done something good today,’’ said Danville manager Eric Coleman. Actually, the outcome of Prospect League contest came down to the final out as Danville’s Jonah Ulane got Lafayette’s Anthony Sanchez to fly out to very deep right field with the bases loaded in the ninth inning. Defensive replacement Jacob Talamante basically made the catch with his back against the walk. “We shouldn’t have been in that situation,’’ Colemand said. “We were fortunate or lucky with 14 walks. We still have to do a better job of situational hitting and we didn’t play catch. In spite of the walks, the errors and some missed offensive opportunities, Danville (11-6 overall) was still able to win its third straight game and it’s 10th time this season that the Dans have scored seven or more runs in a game and they are now 9-1 in those games. Zunica had a pivotal RBI double in Danville’s four-run eighth inning, which allowed the Dans to take a 10-4 lead into the ninth inning, and they almost needed every one of those runs as Lafayette sent eight batters to the plate, scoring twice in the ninth. But, the Dans still needed Ulane to get that final out, as the right-hander from Kansas secured his second save of the summer. Coleman was also disappointed because he didn’t feel like his team came back from Sunday’s off day with the proper approach. Actually, Monday’s game was the fifth home game this season that went past 3 hours for the Dans. 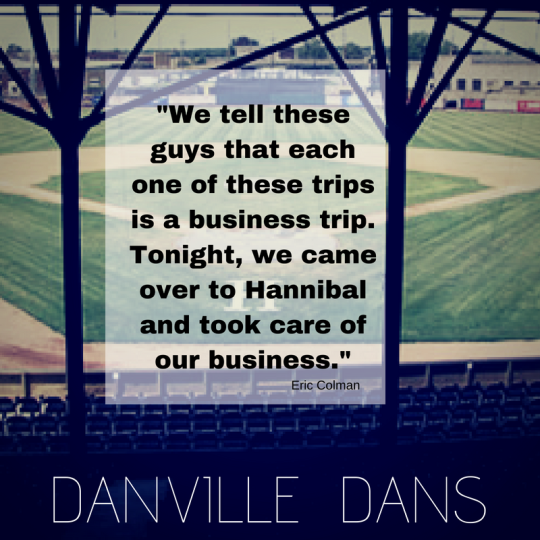 Those long games could take a toll on Danville, as the Dans are playing 23 games over the next 23 days with a doubleheader tonight against Hannibal and just one off day on June 28th. “We have a full roster, so that helps,’’ Coleman said. “We have some depth on the mound, which is good because of all these games we have coming up. Danville starter Stewart Currie just missed qualifying for his second win of the summer. Currie had to be removed from the contest with two outs in the fifth inning. Baseball scoring rules state that a starting pitcher must go five innings to qualify for the victory. Reliever Johnny Ray, who threw 1.1 innings of shutout relief, picked up the victory; while Lafayette starter David Zoz was saddled with the loss. Joining Zunica with multiple hits for Danville was shortstop Gavin Dugas, who went 2-for-4 with two runs scored and an RBI. Before Monday’s contest with the Lafayette Aviators, there was a moment of silence to honor John Dowling, 84, of Watseka, who died in an automobile accident on Sunday in rural Iroquois County. Dowling was the original bat boy for the Danville Dodgers in their first year at Danville Stadium. Dowling was a regular at Danville Stadium during the era of the Danville Dans. Dowling’s wife, Reta Dowling, also died from injuries sustained in the two-car accident on U.S. 24, west of Watseka. Key player — Danville right fielder Mateo Zunica goes 2-for-5 with two runs scored and an RBI. At the end of the day, the only thing that really matters in the game of baseball was who won and who lost. That was definitely the case on Tuesday night at Danville Stadium. The Danville Dans claimed its second straight win over the first-place Terre Haute Rex with a 7-3 triumph before 3,194. Just how sloppy was Tuesday’s game? The two teams combined for 21 walks (10 by Terre Haute and 11 by Danville), and they also hit four batters during the contest. “Both teams were off on Monday,’’ Coleman said. “I don’t know if that’s an excuse. Danville was able to create offense early against Terre Haute starter Drew Meschede. The Dans scored one in the first on an RBI single by Sky-Lar Culver and after the Rex tied the game with a run-scoring single from Mason Speirs in the second, Danville took the lead for good with a three-run second inning. Leadoff batter Zach Huffins, who went 3-for-4 with two runs scored, drove home the go-ahead run with a single to bring in Jacob Talamante, who got things started with a one-out double. He later scored in that inning on a sacrifice fly from Gavin Dugas and an inning later after his double, Huffins scored on a two-run single by Dugas that gave the Dans a 6-3 lead. “Zach sets the table,’’ Coleman said. “When he goes, we go. Danville relief pitchers Johnny Ray, Matt Gammon and Jonah Ulane combined to throw 3.2 scoreless innings of relief in spite of that trio walking three and giving up three hits during that stretch. Coleman hopes that his team can take the momentum from wins over Hannibal and Terre Haute on the road tonight to Springfield and then again at Terre Haute on Thursday. Key player — Danville center fielder Zach Huffins went 3-for-4 with two runs scored and an RBI. HANNIBAL, Mo. — Sunday was a chance for the Danville Dans to get back at the Hannibal Hoots for a season-opening defeat. 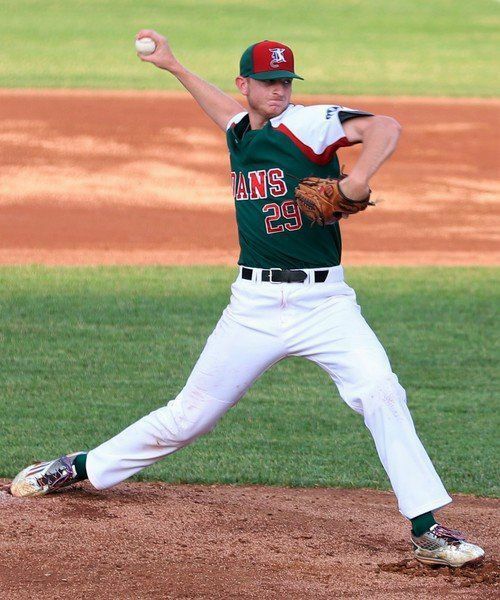 And like when the Dans played the Hoots and Bismarck native Dylan Dodd on opening night of the Prospect League season, they got a look at another local pitcher. 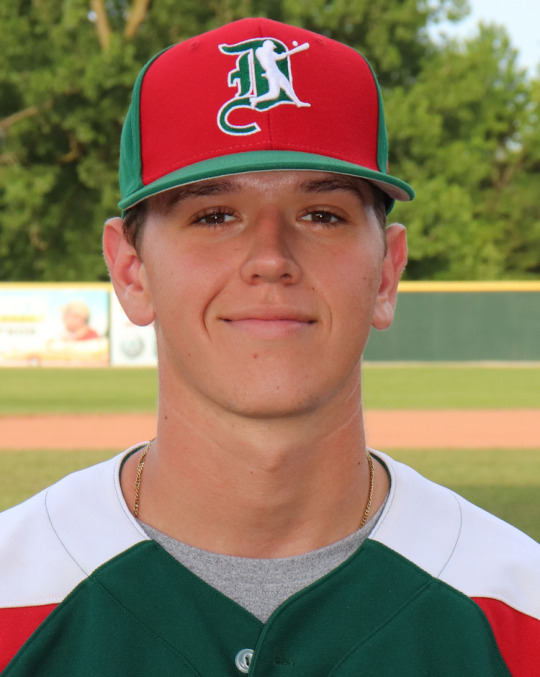 Danville’s Steve Washilewski and Danville native and Hannibal pitcher Dylan Marble had a pitchers duel for the better part of six innings before the Dans got to Marble with two runs in the sixth and would go on to a 2-1 win. After two losses to Chillicothe on Friday and Saturday at Danville Stadium, Dans coach Eric Coleman said the victory was important in staying in the race in the West Division. Washilewski had nine strikeouts in his six innings for the Dans, while Marble gave up four hits with two strikeouts in five and 1/3 innings. In the sixth inning, Danville finally got to Marble as Mateo Zunica got a double and would score on a double by Drew Bianco. Marble left and the Dans added another run as Bianco scored on a single by Sky-Lar Culver. “(Marble) pitched well and he mixed speeds and we were fortunate to get some timely hitting and put up enough runs to get the win,” Coleman said. Dodd had two hits for the Hoots while Danville Area Community College player Tye Thixton was 0-for-4. The Dans were supposed to play the Hoots again on Monday, but the rains from Sunday put a damper on that. Monday’s game will be moved to be part of a doubleheader on June 19. The Dans are two and a half games behind the Rex entering today’s game at 6:35 p.m, so it is a chance for Danville to do some catchup. “It is always important., we want to protect our home, but it is also a rivalry game. We beat them before in our house and hopefully we can do it again. Stewart Currie (1-0) will get the start and will have some additional pitchers come in with Trevor Talpas and Cody Hawthorne and catcher Slate Fuller. Today’s game of baseball seems to be dominated by the three ‘true’ outcomes — the home run, the base on balls and the strikeout. These three situations are the only ones where the result simply comes down to the battle between the batter against the pitcher. In Major League Baseball, the strikeout rate has reached historic levels and there doesn’t seem to be an end in sight. For the Danville Dans, their numbers of strikeouts seem to be a pretty good indication of how the team will do on any given night. 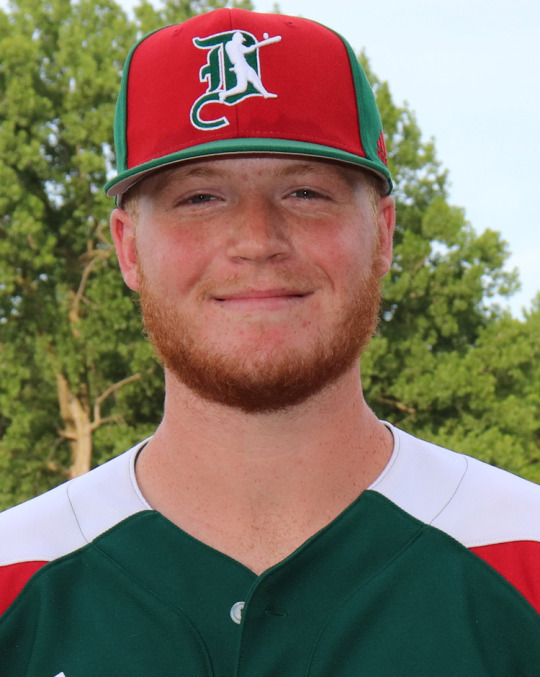 Chillicothe left-hander starter Eric Sapp combined with two relievers to strike out 14 Danville batters on Saturday night as the Paints completed a two-game sweep on the Dans with a 5-1 victory before 1,067 at Danville Stadium. “They pitched us tough and it showed in the last two games,’’ said Danville infielder Drew Bianco, who went 1-for-3 and drove home his team’s only run with a second-inning single. During this two-game losing streak, Danville batters have struck out 27 times against Chillicothe pitching. And in the last three contests, including Thursday’s 4-0 win over Terre Haute, the Dans have had 38 punch outs. “Coach (Drew) Erie worked with us today in batting practice on cutting down our strikeouts and changing our approaches,’’ said Bianco, who has had only three strikeouts in his 16 at-bats this summer. “Part of it this early in the summer, a lot of people haven’t seen live pitching in a while or it could be a big jump with the pitching that we are facing. Especially, when you consider these facts. Danville is 4-0 this season when it strikes out nine times or fewer, while the Dans are 1-5 this summer when it strikes out 10 or more times in a game. Danville manager Eric Coleman knows that trying to make adjustments at the plate is a process for all players. “Good pitching beats good hitting,’’ he said. “They got us again tonight. The Dans (5-5) managed just 11 baserunners against the Paints and back-to-back singles by pinch-hitter Kobe Kato and catcher Eric Bigani in the ninth inning was the only frame where Danville had multiple hits. Because of that, the Dans, who lead the Prospect League with 35 stolen bases, failed to get one for the first time this summer. Coleman also pointed out that he needs his starting pitchers to work a little deeper into the games. Saturday’s starter, Carter Holt, went just 3.2 innings, allowing five runs on seven hits while walking three and striking out three. The Danville bullpen of Matt Gammon, Colin Coates and Aleq McMullin combined for 6.1 innings of shutout relief. “Our bullpen gave us an opportunity to come back tonight,’’ Coleman said. “That group has been a strength so far and we will continue to run those guys out there. It’s a quick turnaround today for the Dans, who travel to Hannibal for a 3 p.m. game against the Hoots at Clemens Field. Chillicothe’s Andrew Czech had the big day at the plate for the Paints, going 4-for-5 with a run scored and two RBIs — both coming on his double in the fourth inning. Third baseman Gama Martinez delivered the big blow in the first inning with his two-out, bases-clearing double to center giving Chillicothe a 3-0 lead and all the offense it would need. Key player — Chillicothe starter Eric Sapp and two relievers combined to strike out 14 Danville Dans. Up next — The Dans hit the road today for a 3 p.m. contest in Hannibal against the Hoots at Clemens Field.